Hales Halves features the work of boat builder Christopher Hale’s half models of classic traditional boats used along the Eastern Seaboard. Ranging from skiffs and cat boats to more modern recreational fishing boats, Christopher continues the traditions of a long line of master craftsmen that included his great-grandfather. Christopher’s work has been displayed in small exhibits in public spaces and he also provided demonstrations of his art using traditional hand planes, chisels and sandpaper, among other specialized tools. He has also been featured in television programs as well as in print publications. Christopher uses various types of wood depending on the model he is making. 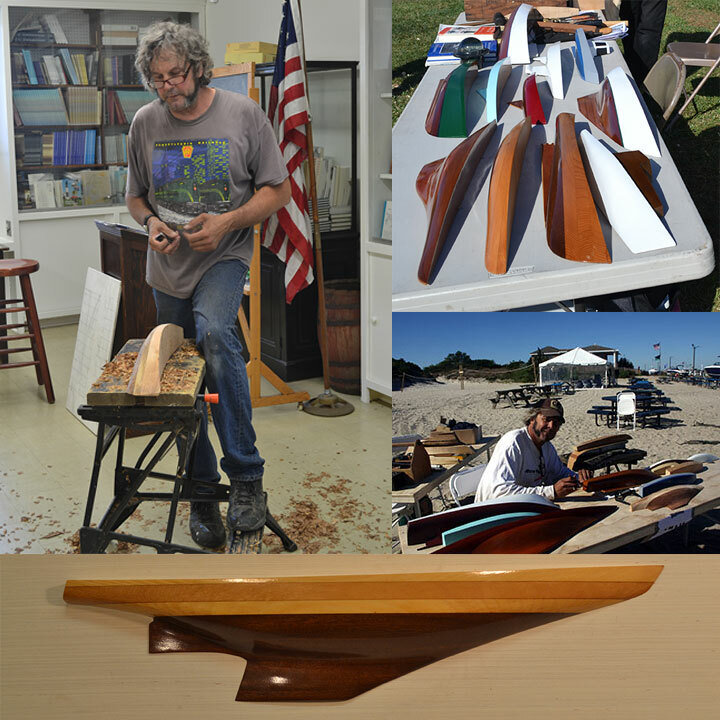 Using specialized tools, Hale makes garveys, models of sailing racing boats, and other boats commonly found on Great South Bay. He estimates that he has built over 100 models, and plans to continue for years to come. Take a look through our site to learn more about Hales Halves and Christopher Hale. If you would like to own one of Christopher’s models, just fill out the form on our Contact Page and Christopher will get back to you as soon as he’s away from the boatyard and out of his shop.